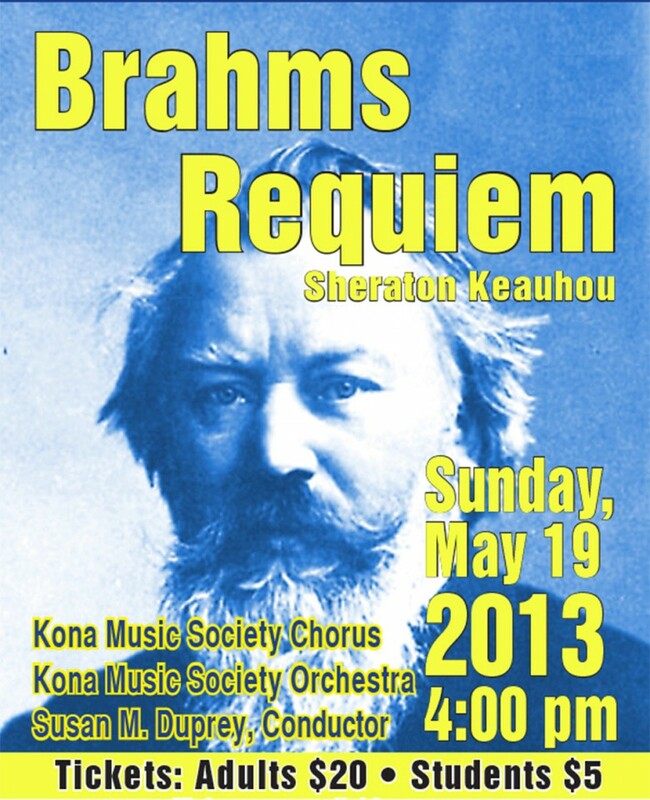 A video of our Brahms’ Requiem concert can be seen on the web site of Na Leo, the Big Island’s Public Access Cable channel. Go to http://www.naleo.tv/watch/on-demand/ and select ‘Arts and Entertainment’. Anybody in the world (who has a computer and internet access) can watch our concert. Also, Big Island residents who would like to purchase a DVD from Na Leo for $13 can do so by calling 329-9617 to place an order.